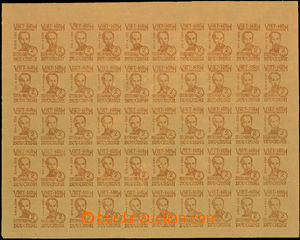 1948-56 Mi.2b, 3b, 53, Ho Chi Minh, complete 50-stamps. sheets postage stmp values 2D, 5D and overprint 50D/5D, incl. printing error, cat. 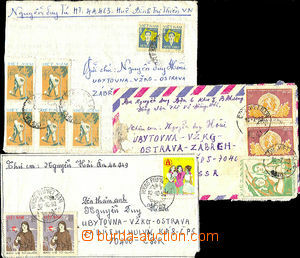 price single stamps 6000€, quite rare, profitable offer!